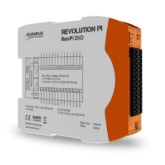 Using the digital I/O – module RevPi DIO your Revolution Pi system can be expanded by 14 digital inputs and 14 digital outputs. 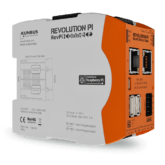 This expansion module is connected to your base module by the means of the overhead PiBridge plug. 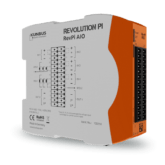 By using this digital input expansion module your Revolution Pi base module can be expanded by 16 digital inputs. 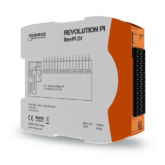 This expansion module is connected to your base module by the means of the overhead PiBridge plug. 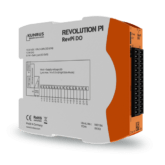 Using the digital output – module RevPi DO your Revolution Pi base module can be expanded by 16 digital outputs. 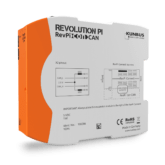 This expansion module is connected to your base module by the means of the overhead PiBridge plug.